In celebration of the 50th anniversary of Star Trek, the Intrepid Sea, Air and Space Museum Complex presents ‘Star Trek: The Starfleet Academy Experience.’ This immersive exhibit features 12,000 square feet of interactive activities and unique technology, including Leap Motion, table projections, projection mapping and holograms. Become a cadet and join the Starfleet Academy’s Career Day in the 26th century. Also, see many of the props and costumes from the hit television show and much more. To celebrate the 50th anniversary of Star Trek, the Intrepid Sea, Air and Space Museum Complex in New York City welcomes a new exhibition: ‘Star Trek: The Starfleet Academy Experience.’ The Museum, located at Pier 86, is the first venue in the US to host this immersive, 12,000-square-foot exhibit. Choose from an unlimited VIP ticket with immediate access or a general, timed ticket. Once inside, become a cadet and join the Starfleet Academy’s Career Day in the 26th century. After a student orientation, cadets visit nine different zones that focus on special training in language, medicine, engineering, navigation, command and science. Once training has been completed, cadets receive their specialty. 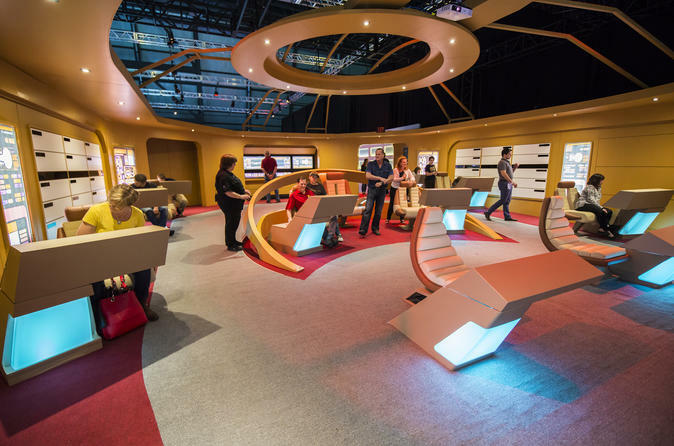 ‘Star Trek: The Starfleet Academy Experience’ features interactive activities and unique technology, including Leap Motion, table projections, projection mapping and holograms. The exhibit runs from July 9 through October 31, 2016.